Slow Motion - Young Asian Woman Feeling Happy Playing Rain Near Lake. 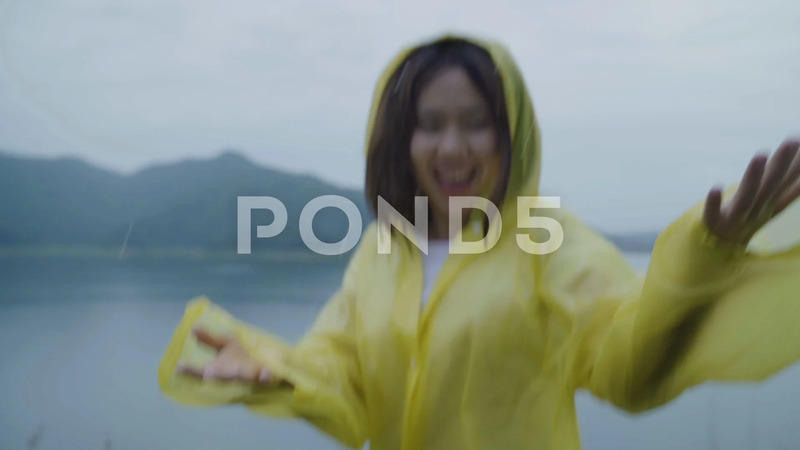 Description: Slow motion - Young Asian woman feeling happy playing rain while wearing raincoat standing near lake. Lifestyle women enjoy and relax in rainy day.